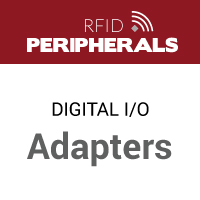 We provided a selection of other RFID peripherals for you to complete your RFID system, including RFID printers, relay controllers, digital I/O modules or adapters, etc. Our list of RFID peripherals continues to grow daily, so if you don’t see something you are looking for, just let us know! Chances are, our Experts will be able to help you find what you need. 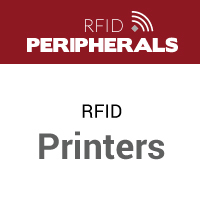 We offer industrial-grade RFID printers that take the barcode label printer to the next level. By enabling you to print and encode RFID Tags that are detailed enough for item-level tagging and wide enough for RFID pallet and carton labeling, our RFID printers allow you to quickly streamline operations and effectively deploy RFID technology in high-volume applications. 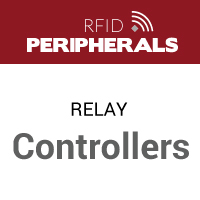 Our selection of RFID relay controllers provides you with the ability to switch high voltages, making them valuable tools for applications using AC and DC loads. Our selection of relay controllers includes 2-channel and 4-channel configurations. Our offering of I/O adapters is designed to be used in conjunction with our RFID Readers such as Reader Antenna Hubs and the UHF Gen 2 RFID Reader/Writers to provide a low cost, large, contiguous RFID read zone by enabling from 5 to 32 antennas to be attached to a single reader. Our digital I/O adapters help in creating ideal solutions for applications such as RFID smart shelves or document tracking applications.